Jennifer Dunnam . David Lee . Charles Z Liu . Claudio Martani . Mauro Martino . Francesco Pilla . Adam Pruden . Aaron Siegel . Aida 2.0 (Affective Intelligent Driving Agent 2.0) aims at estimating a driver's likely destination based on collective mobility patterns in the city and individual profile information - such as past riding behavior and online calendar entries. Being able to estimate a driver's likely destination helps greatly in the effort of filtering out those bits of information relevant to the driver or not. 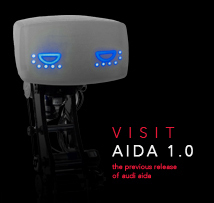 Aida propose an unprecedented interface that allows the driver access this information. 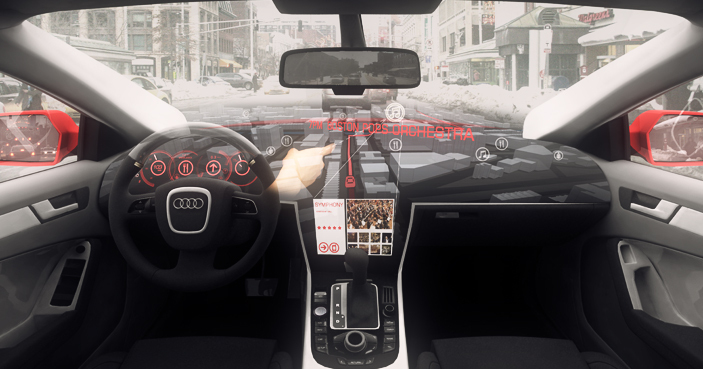 In an effort to bring the virtual augmented map closer to the actual physical city seen through the windshield, Aida's interface exploits most unused area on the dashboard to establish a direct connection between the actual street and its representation on the digital map – seamlessly bridging the virtual and the real world. 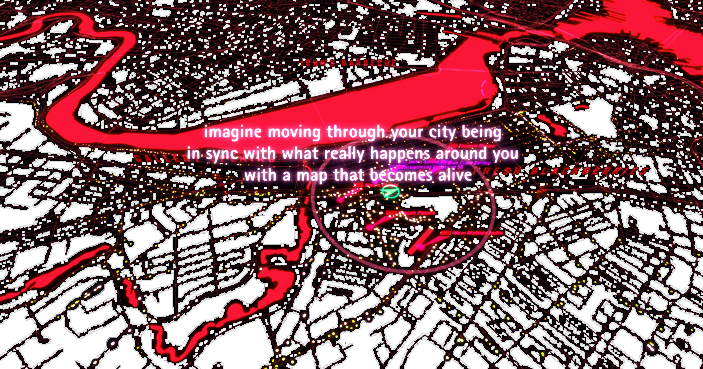 ©2011 MIT SENSEable City Laboratory ................. Please come back soon for more information. | Contact us.